Manhattan’s next big park isn’t in the center, it’s on the edge! 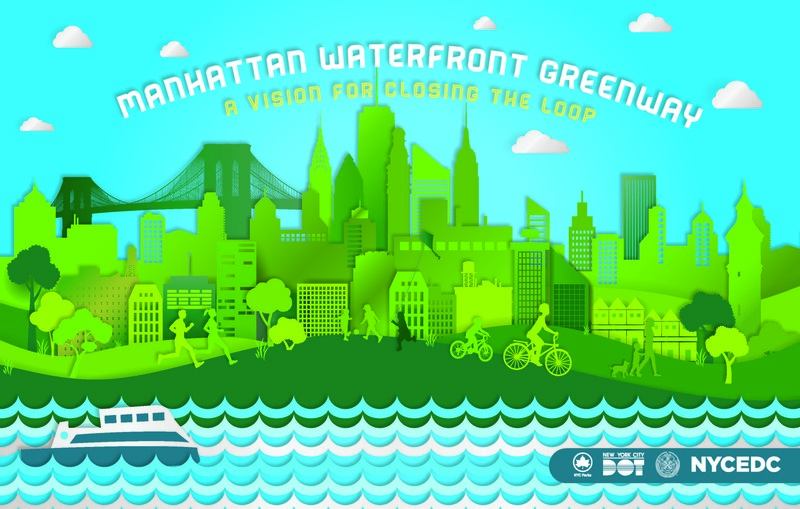 The de Blasio administration is committing more that $250 million to close the loop of the Manhattan Waterfront Greenway. So, one day soon, you’ll be able to walk, run, bike, or skate around all of Manhattan in one, park. Uninterrupted.